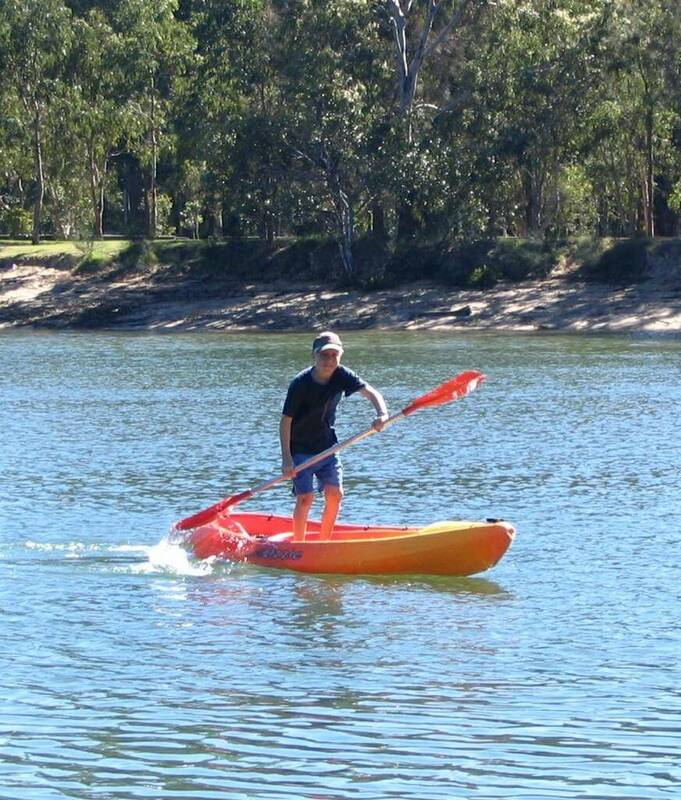 Yep, this is a kayak. And that’s my son Jack showing off on it. Not only can he paddle a kayak sitting down but the little smarty pants can stand up on the thing and balance (this is a kid who can take a flying run up and jump up onto a Swiss Ball and stick the landing). 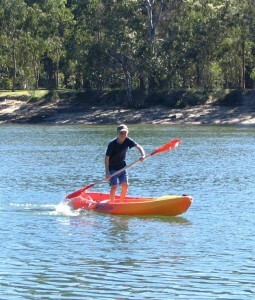 Today (Sunday) I took my two sons down to the local creek (Currumbin Creek) for a paddle on kayaks. There’s a business there that hires kayaks out for $10 an hour. I actually took the boys down for a paddle yesterday at 3.45 pm but the shop hiring the kayaks was about to close. The boys were very excited at that. Not only would they be getting the best kayaks, but they’d also be getting extra time! Wow! That’s excellent work by Brad. He’s gone out of his way to provide high perceived value for the boys at absolutely no extra cost to himself. Which meant he was far more likely to make the sale in the morning (this morning). Which he did (my boys could hardly wait to get down and try out the “best” 2 kayaks). What can you provide to you customers that is high perceived value and low cost? If you can find something, use that to increase your sales. Just like Brad did.